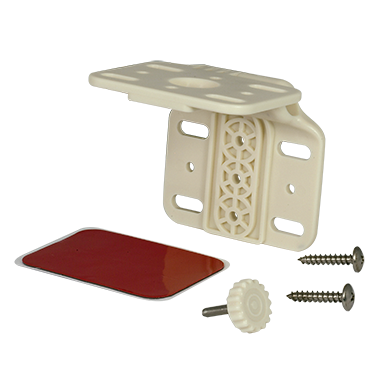 Adjustable antenna mounting bracket. Weather proof impact resistant plastic with stainless screws and double sided tape. Can be mounted to walls or windows. For use with SEMD1 series antennas and pole-mount omni directional antennas.